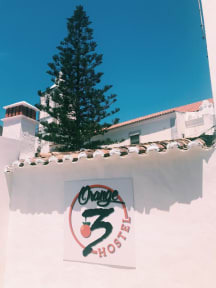 Orange3 Hostel i Lagos, Portugal: Reservér nu! 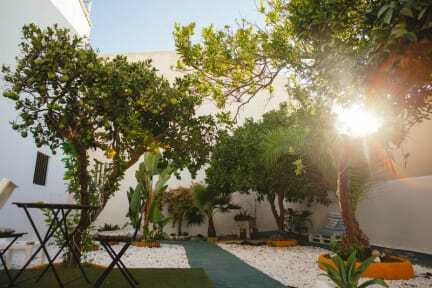 We are located in the quiet area of Lagos Old Town in walking distance of everything you need to make your experience unforgettable. Just 1 minute from city center; 3 from bars, supermarkets, restaurants and taxis; 15 from bus and train stations and just 5 minutes from our beautiful beaches! You feeling comfortable and at home is our priority, for that we create our dorms and private rooms with all of our love. The kitchen is fully equipped for you to prepare your own meals and our leaving room and library are ready to welcome you in an environment totally stress free. The breakfast is included, please let us know if you have any food intolerance or special diet.